Meet four new, seasoned and past Manitoba Canola Growers Association (MCGA) directors. 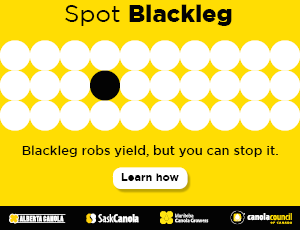 Whether they stepped up for a specific reason or were encouraged by others, they share a common goal: Represent canola farmers, act in their best interest and strive for continual improvement of our industry in Manitoba as well as at the national and international levels. As your representatives, they are always available to listen to your concerns and answer any questions you may have. Why did you decide to run for the MCGA Board? How do you make time to be involved? What would you say to someone who is considering running? What are some takeaways from your time on the board? Background: From a tiny mixed farm near Antigonish, Nova Scotia. Bachelor of Technology (environmental horticulture) from the Faculty of Agriculture at Dalhousie University. Worked in various roles in and outside of agriculture. Moved to Portage la Prairie in April 2014 and found a job as an agricultural parts person where I met the man who turned out to be my husband. Came for work, stayed for love. Background: Grew up on the farm, attended school in Shoal Lake. Bachelor of Science in Agriculture Engineering at University of Manitoba. Worked for Versatile Manufacturing in Winnipeg for 4 years before returning to the farm full-time. Background: Grew up on the farm. Diploma in Agriculture – University of Manitoba. Took over family farm after graduation. Farms with: Wife and son-in-law Kyle with seasonal help from brothers. Background: Born and raised on the farm, have always been involved. Degree in Agricultural Engineering – University of Manitoba Lived in Winnipeg for 10 years. Worked in engineering career for 14 years before taking over the farm. 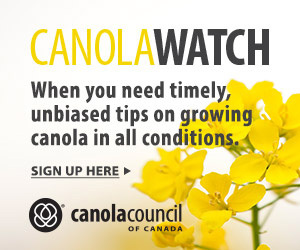 Sign up for our Canola Crush Newsletter today!